In this discussion, Yevgeny Shestakov discusses the abolition of serfdom in Russia and if it has any parallels with the reforms of the 1990s. The tragedy of the Russian reformers is that their contemporaries never understand them. Reforms are never popular because they involve the breaking of traditional institutions to which people have become accustomed. There is a psychological aspect to this: fear of an uncertain future. Yevgeny Shestakov: On March 3, 1861, Emperor Alexander II abolished serfdom in Russia. How far has Russia progressed in the 150 years since then? Do you think it helped the country find a new development path? Denis Sekirinsky: We mustn’t forget that Alexander II’s reforms were not limited to the abolition of serfdom. He also reformed the rural and municipal governments, the court system and the military. For example, one of the key elements of his court reform was the introduction of the adversarial principle for court hearings and trials by jury, which was crucial for the development of both state and public institutions in Russia because it facilitated greater sense of self and civic awareness. That is why, taken as a whole, his Great Reforms certainly helped Russia develop in a new direction. Yevgeny Shestakov: To what extent can it be said that over 400 years of serfdom and absolute rule created an innate desire in Russians to be governed by a “strong hand” and to believe in a “good tsar”? Is there such a thing as serf mentality? Denis Sekirinsky: This is a very serious question. Although a great deal of research has been done on this issue, the question of Russian identity remains largely unexplored. It is true that to a certain extent, social practices and stereotypes have demonstrated their considerable resilience. Russia undoubtedly has a very strong tradition of autocracy. Yet I would hesitate to use the phrase “serf mentality.” Talking about people’s draw to a “strong hand” is like saying that they are not ready for democracy, freedom, etc. Rather, current developments are in fact a result of post-imperial syndrome compounded by an inferiority complex. 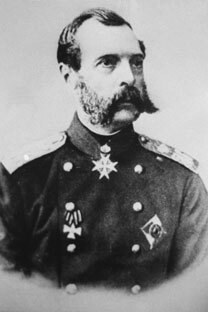 Yevgeny Shestakov: Alexander II was killed by terrorists before he could see his reforms through to completion. His son launched counter-reforms to undo his father’s work. Is it true that, in Russia, the reign of great reformers is always followed by periods of reaction and stagnation? If we were to assume that the reforms of the early 1990s liberated citizens across the former Soviet Union, can the developments of the past 10 years be described as counter-reforms? Denis Sekirinsky: Let’s start with what happened before the Great Reforms Alexander II initiated. The Crimean War of 1853-1856 ended in a humiliating peace for Russia, which at that time regarded itself as a global power, because it lost both the right to deploy its fleet on the Black Sea and to access the Mediterranean. That bitter defeat certainly acted as a catalyst for reform. At the same time, an industrial revolution was in full swing in Europe, accompanied by profound social change. It was during that period that Russia came to understand that economic modernization is impossible without modernizing social relations. The tragedy of the Russian reformers is that their contemporaries never understand them. Reforms are never popular because they involve the breaking of traditional institutions to which people have become accustomed. There is a psychological aspect to this: fear of an uncertain future. And lastly, there is always a gap between the reforms’ goals and the assessment of their results. That gap had tragic consequences in Alexander II’s case. Reforms are one way of finding an adequate response to modern challenges. They are often provoked by acute collisions, crises and wars. In some cases they end with the crisis being overcome, like Franklin D. Roosevelt’s New Deal that helped overcome the Great Depression of 1929, while others only serve to aggravate the crisis and sometimes even end in a revolution. I believe that a new cycle of reforms in Russia began with Mikhail Gorbachev’s perestroika, before the actual reforms of the 1990s. Seeing that economic modernization was impossible without social and political reforms, Gorbachev used glasnost to mobilize broad swathes of society, to awaken society. In short, it was Gorbachev who liberated Russian society. But it was already too late: reforms were long overdue. The reforms of the 1990s were extremely painful for society. In times of great change life is strange, unpredictable and sometimes dangerous. This unpredictability makes people characterize the past as a time of stability, law and order, which is seldom true. Therefore, it can be said that the policy of the past decade, in a sense, was a response to this need. Denis Sekirinsky is the academic secretary of the National Committee of Russian Historians.